Growing a small business can seem like a Herculean Effort. Between focusing on sales, providing customer service and managing inventory, a businessman can feel overwhelmed. In a competitive marketplace, every businessman is concerned about growing his business and keeping up with his competitors. The biggest challenge faced by MSME’s (Micro, Small and Medium Enterprises) in India is the complex process of availing small business loans. There are various reasons for this. India is largely an informal economy where a majority of the population is unbanked. Consequently, most of the small businessmen have been reliant on informal money lenders, friends and family for money, instead of small business loans from lenders. There exists a wide gap between requirement of funds by small businesses and the availability of funds. Quite often, small businessmen are not aware of the intricacies of the banking system. They do not maintain financial documents or audited reports of their earnings and are thus, rendered ineligible for bank loans. Large banks and established lenders of India are mostly focused on old and well known businesses when it comes to providing loans. Their lending model is designed to evaluate a large business by an exhaustive list of parameters. Of late the government has been trying to address the issue of financial inclusion. The Aadhaar Card is a remarkable initiative in this direction as it authenticates the identity of an individual, thereby allowing them to enter the financial system. With reference to small businesses, the banking sector has realized the potential of small business loans and is now racing to meet this demand. The rise of FinTech has ushered in a new era for small business loans. You may wonder what FinTech is and what’s all the hype about? In short, FinTech is a technology based approach to finance. For example, take lending – A FinTech lender will rely on algorithms and computer systems to perform credit analysis. Automated systems ensure that the entire loan application process is streamlined and efficient. There is no need for a loan applicant to fill out paperwork and finish a tedious application process. The officer conducting loan interviews has been replaced by a scorecard which finishes the credit evaluation in a few seconds. There are various Non-Banking Financial Companies in the FinTech Sector that exclusively provide small business loans. They are focused on building customer centric models that will make finance more accessible to small businesses. 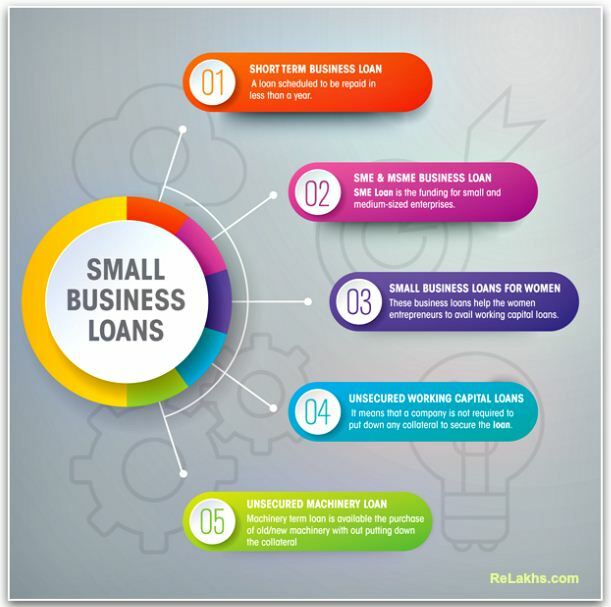 There are some reasons why NBFC’s are able to provide small business loans in such a hassle free manner. NBFCs have done away with the complex application process and document submission. Their automated systems allow an applicant to complete a loan application online. Crucial documents like PAN Card and Aadhaar Card are required, to verify the personal identity of the applicant. Businessmen need no longer submit a long list of documents to prove that their business is eligible for loan. NBFC’s typically only ask for Income Tax Returns and Bank Statements for 2 years. Keeping in mind their target customer, NBFCs offer collateral free small business loans. This has been a game changer as most small businessmen cannot offer collateral. While one may think that such a model is risky, NBFCs have adequate safeguards to ensure that their loan will not turn into a Non Performing Asset. NBFCs collect exhaustive data on customers after obtaining their due consent. Identifying trends in this data allows them to determine risk and disburse loans accordingly. This new approach to lending has enabled NBFCs to disburse funds within a few days of submission of documents. As of now, the FinTech sector is seeing exponential growth. There is an upsurge in investment in this sector and quite a few NBFC’s have begun to offer small business loans. Their most popular offerings are SME capital loans and MSME capital loans. As of now, these small business loans are available in metropolitan cities and industrial areas. NBFCs plan to offer small business loans in Tier-2 cities as well in due course of time. The ease of access to small business loans is sure to spur economic growth and development in India. This is a Guest post by Rahul of Ziploan. How Technology is Redefining the Financial Services Industry – As we know it today! Pradhan Mantri MUDRA Yojana : How to apply for a Business Loan under PMMY? A Complete Guide to ‘How Banks Assess Your Credit Health’ | How Lenders decide whether to give you Credit? RBI’s hikes interest rates? – Impact on your Loans! Kindly note that ReLakhs.com is not associated with Ziploan.in. This is a guest post and NOT a sponsored one. We have not received any monetary benefit for publishing this article. The content of this post is intended for general information / educational purposes only. Rahul Setia works at Ziploan.in, RBI registered NBFC as AVP Digital Marketing. Rahul enjoys creating innovative marketing strategies and is an expert at website data analysis. 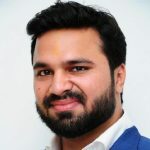 He is passionate about blogging and frequently shares his extensive knowledge through guest posts on different portals. There is definitely a rise in number of startups as well as traditional institutions offering Loans for SMB’s. the trend toward alternative lending has changed the outlook for many small business borrowers.